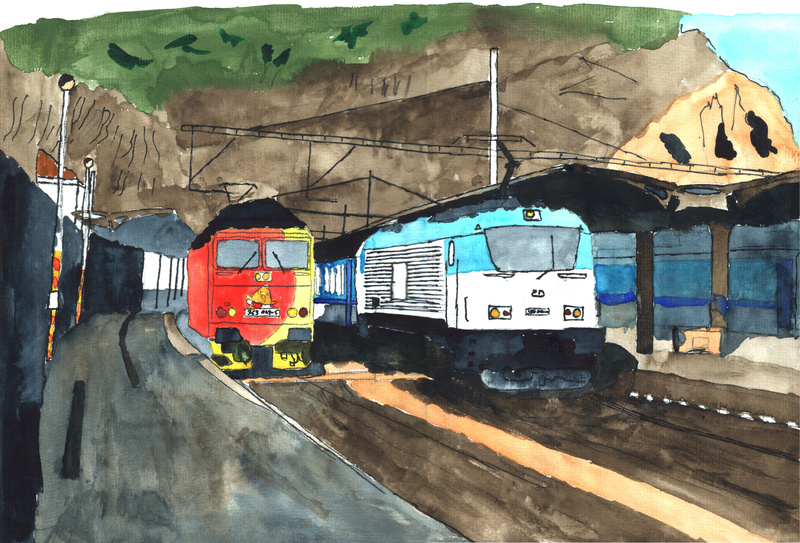 This here was my first attempt to paint one of my railway photos, and it shows. Colour’s too thick in most places and many things lack structure (like the tracks, for example). By the way, the station shown is Usti n. L. (Czech Republic), and shows my first sighting of a class 380 multi-current engine. Number Two I like better. 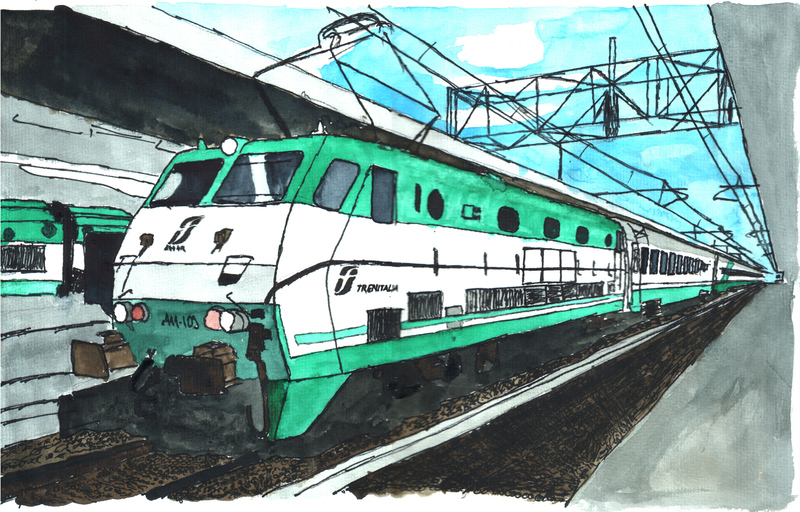 It shows a E.444R (“Tartaruga”) in Roma Termini station. I like the FS colouring scheme quite a bit, and the tracks turned out better this time around. 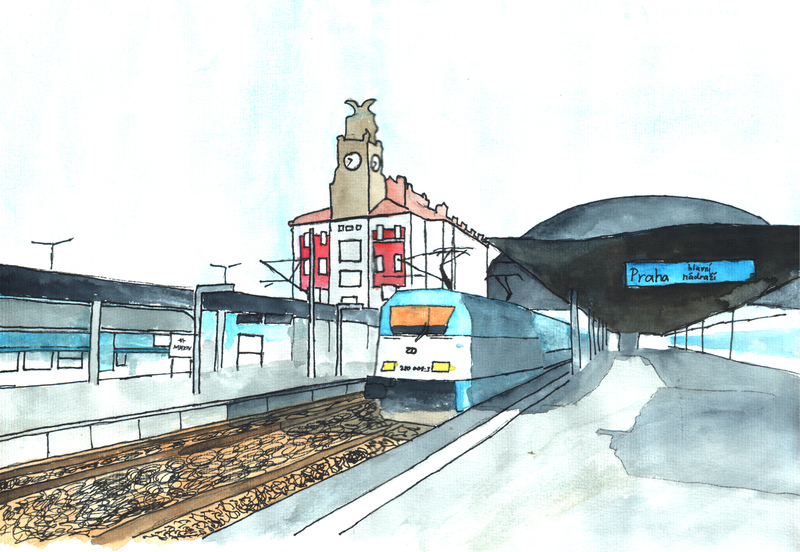 Going back to Czechia, this scene is based on a photo taken in Prague. I don’t really like it, but apparently some other people do. Man, people are hard to paint. 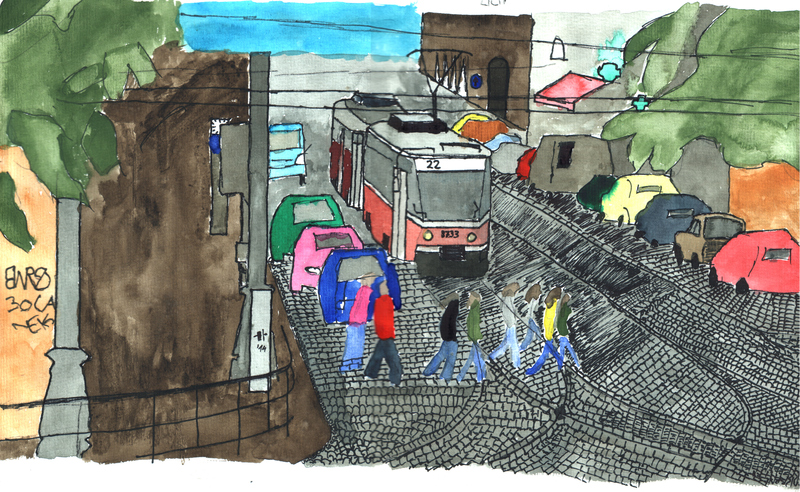 And last but not least, there’s this scene at Praha hl.n., which unfortunately my scanner didn’t really like. I think I overcompensated for my earlier over-colouring and used too much water this time around in many places. What I want to try next is a more naturalistic style, compared to the rather cartoonish style I’ve been doing so far. I have my own set of watercolours now, so nothing can get in my way.